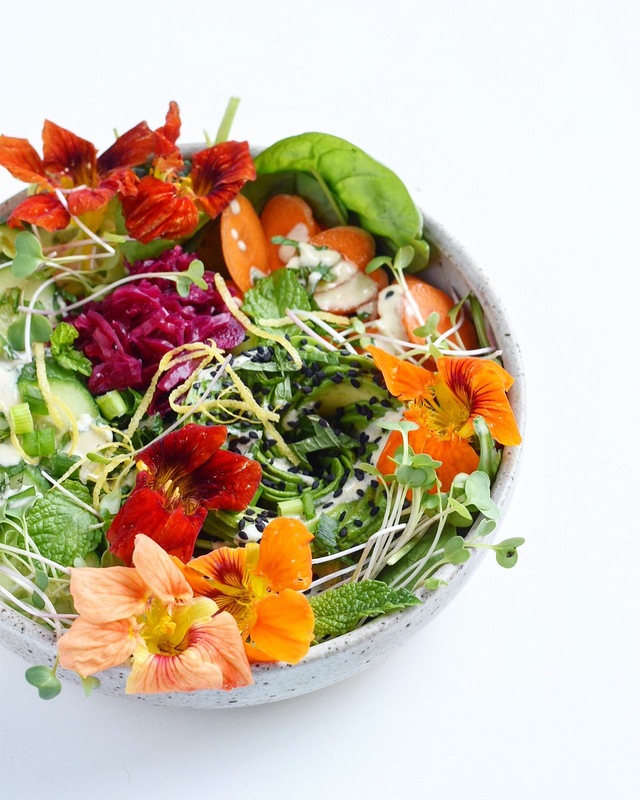 Building a Spring Salad bowl is super easy and can be made quite diverse. The combination of warming, roasted vegetables, with crisp and cool lettuce is perfect for the changing weather and adds so much depth and flavor to a salad. Some days you may need more warming and grounding with roasted vegetables, while on a warmer day you may be adding more sprouts and mint. 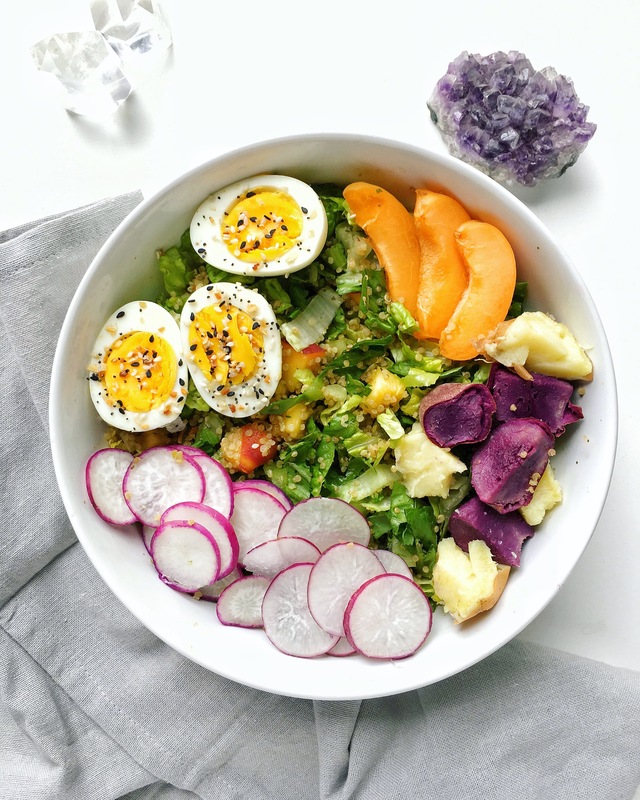 That’s what is great about building a salad bowl with the local vegetables, you can make it your own based on what you are craving and what the whether is on a specific day. Check out what’s available in your area and see if you can get some local ingredients to make this salad and find your favorite combination. The salad below was made with what was on hand in the refrigerator and can easily be molded based on seasonality and availability. Chop zucchini, squash, onions, and mushrooms. Sautee or roast zucchini, squash, onions, and mushrooms...Add the onions first, so that they are able to cook the longest which will bring out some great sweetness. Use coconut oil or ghee for this. Chop fresh parsley and romaine lettuce. Throw romaine in a bowl and top with chopped sweet potato, sautéed vegetables, avocado, micro greens, and a soft boiled egg! No dressing was necessary with this flavorful salad, but my Immune Boosting salad dressing would also pair perfectly! This salad is meant to change with the weather. Add your favorite seasonal ingredients and enjoy! You can see, based on the photos, how many different ways this can be made! How much are you guys loving this spring weather!? Isn’t it making you crave fresh salads and slightly lighter foods? 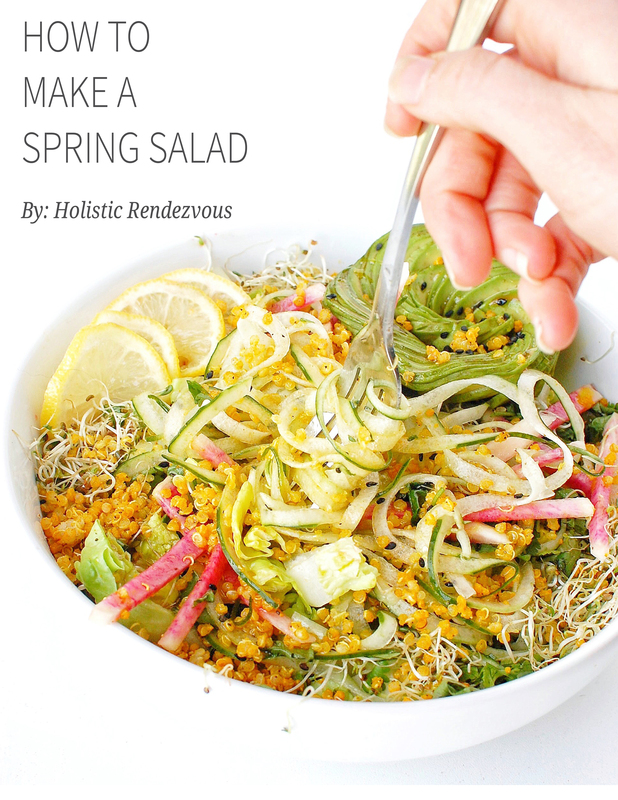 Let us know how you are making spring salads work for you! 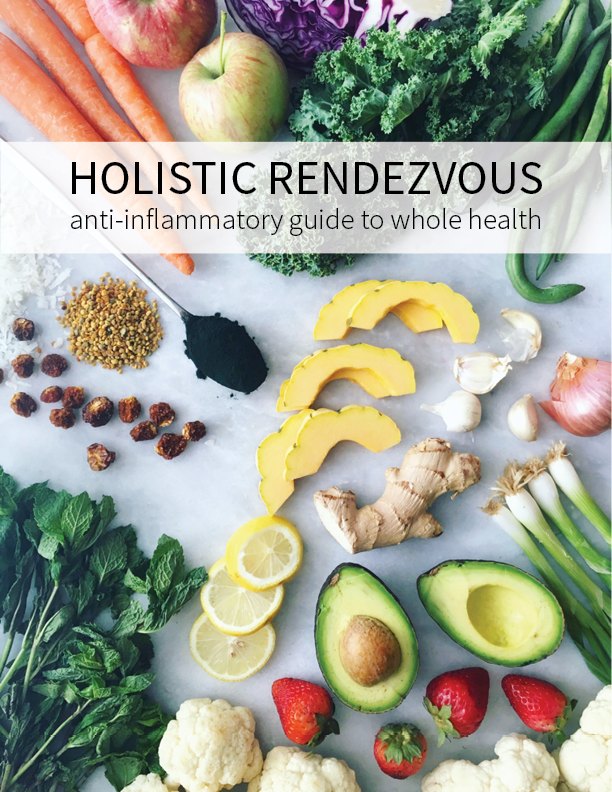 Follow us on Facebook and Instagram and #holisticrendezvous! Peace and Love, HR!